Visit the closest Mayan ruin to Lake Atitlan. These well preserved ruins include pyramid-temples, ball-courts, royal palaces, museum, and interpretive signs explaining the history of the site. Built over 1000 years ago, this site is worth exploring. Mayan rituals are still performed at this site. 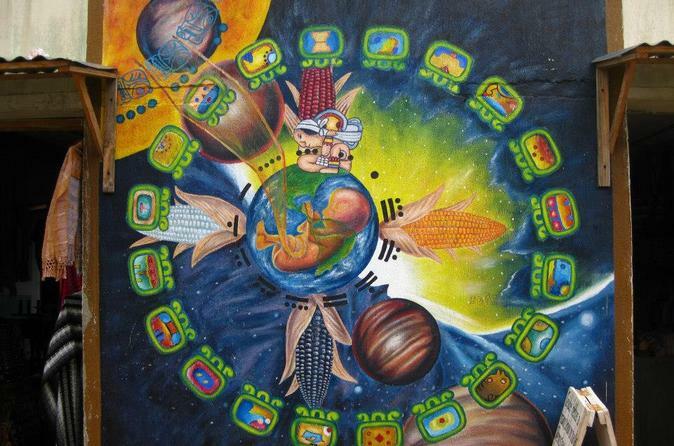 Learn about the ancient Mayan civilization, the 5000 year old Mayan calendar, astrological observations, and how the modern day Mayan views their culture. 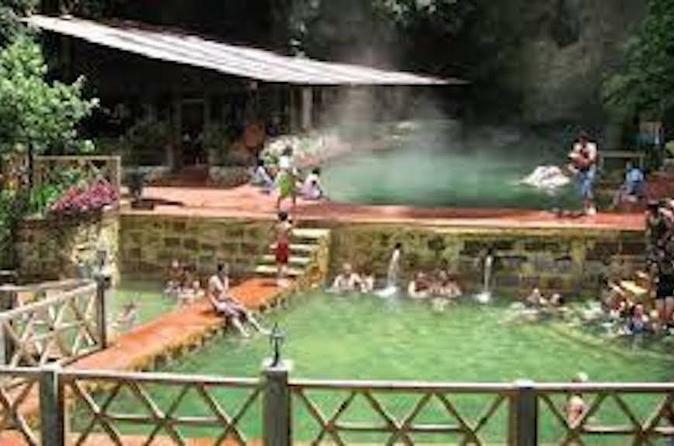 Visit Quetzaltenango and the Fuentes Georginas Hot Springs. High in the Western Highlands and a spectacular drive. Tour the historic downtown and visit the cathedral, central park, government buildings, and theater. Soak in the geothermal hot springs and feel your stress melt away. San Pedro Volcano hike is the perfect adventure tour. See old growth cloud forest and exotic birds as you climb to the top of the Volcano on this full day tour! 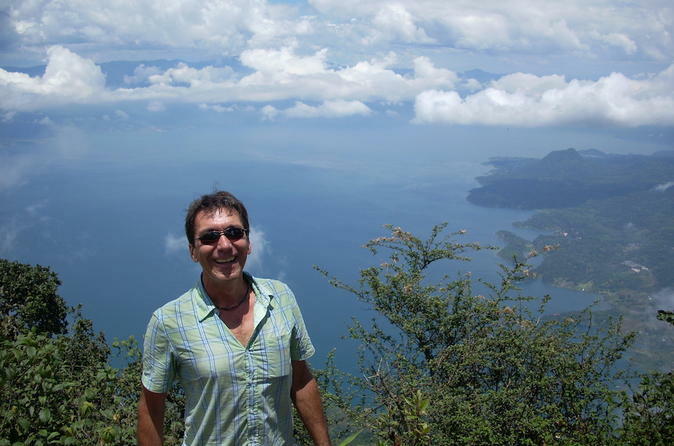 From the top, you get unparallelled views of Lake Atitlan, and on some days you can see to the Pacific Ocean. 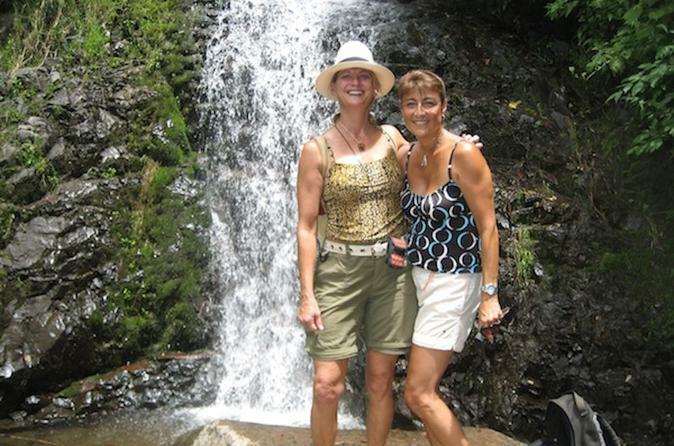 This is a great tour package if you like nature, if you like like to hike and want adventure. Small-group or private. 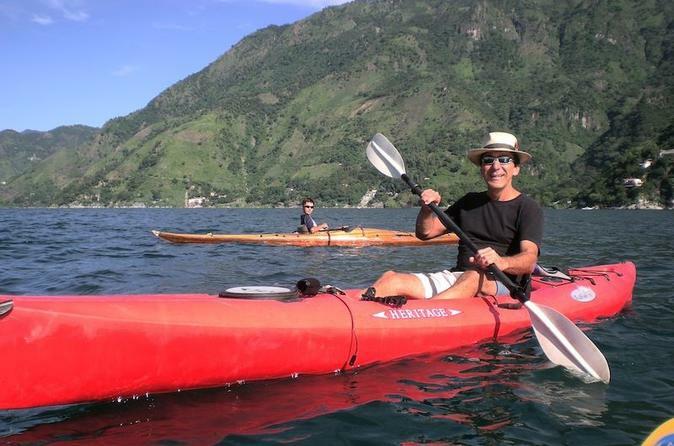 Get ready for the adventure with this combined tour that includes kayaking and hiking to the rugged north shore of Lake Atitlan. Explore ancient Mayan paths on an adventure tour from Santa Cruz La Laguna. Discover Mayan villages in the jungles of Guatemala, and see the villagers tending their coffee crops, and more. You will have the option of cliff jump, only if you dare! 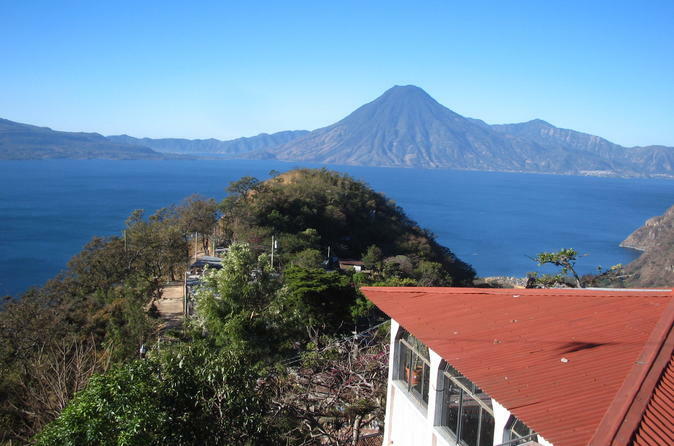 This section of Lake Atitlan has barely been touched by the outside world, enjoy breathtaking views of Lake Atitlan and the surrounding volcanoes. Discover the explorer in you as you hit the trail and hike the diverse landscapes, learn about the Mayan culture, and visit the colorful village of Santa Catarina Palopó located in the highlands of Guatemala. 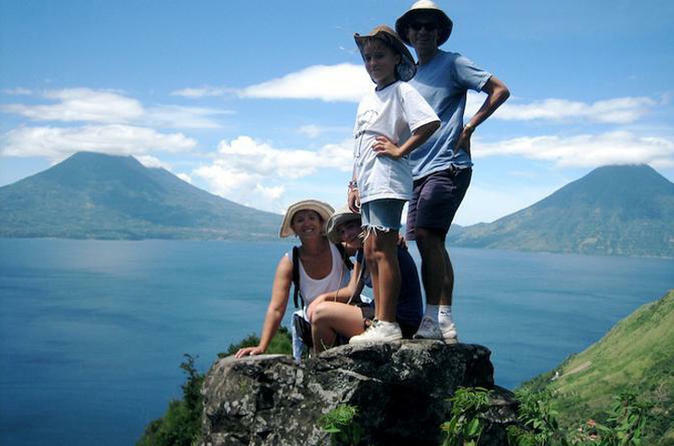 This full day tour takes you high into the mountains above Lake Atitlan on a strenuous hike ending in Solola. Explore the village of Santa Cruz la Laguna and visit the indigenous market in Solola. Hike through maize fields, coffee fields, old growth forest, and into the cloud forest. Visit a sacred Mayan site with the change to see Shaman performing Fire Ceremony. Hike ends in Solola with time to explore the market, then transfer to Panajachel and back to Antigua. Very strenuous hike. You will be taken from Panajachel to Solola, there you see the colorful market of Solola. Afterwards you will meet a women's group association and will see how they create their weaving product. Later, you will go to San Jorge La Laguna to enjoy panoramic views of the place and get a delicious local lunch. If you like adventure enjoy a leisurely and picturesque bike ride through Mayan villages above Panajachel. 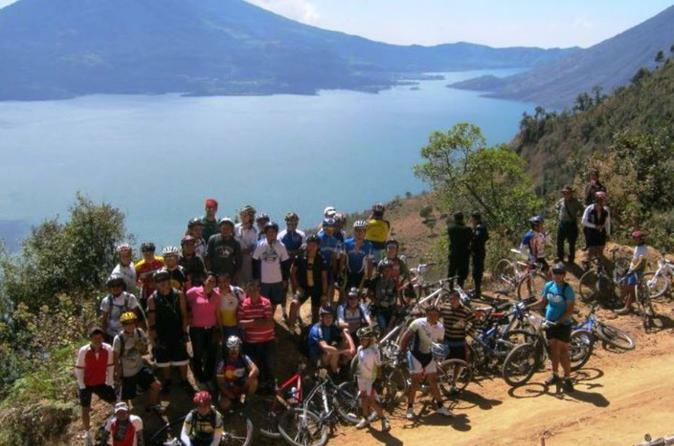 Mostly downhill, this relaxing tour takes you through the spectacular Guatemalan Highlands and small Mayan villages, and enjoy breathtaking views of Lake Atitlan and the nearby volcanoes. 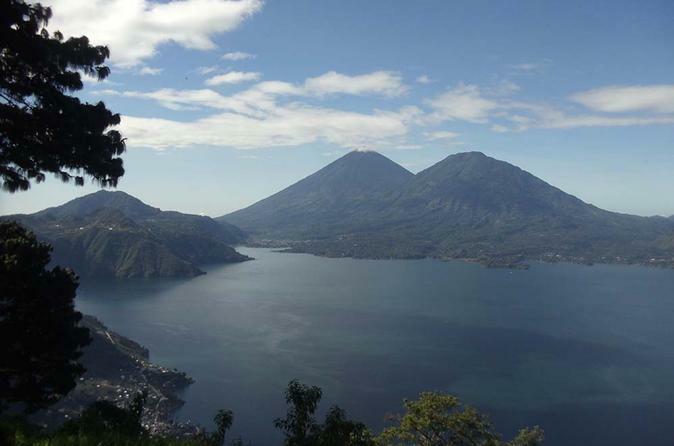 Join this half-day tour and get ready to hike around one of the best places of Lake Atitlán. You can see the locals people working on their corn field, coffee and much more plantations. This is a good opportunity to visit some Mayan villages like Jaibalito, Tzununná and San Marcos.